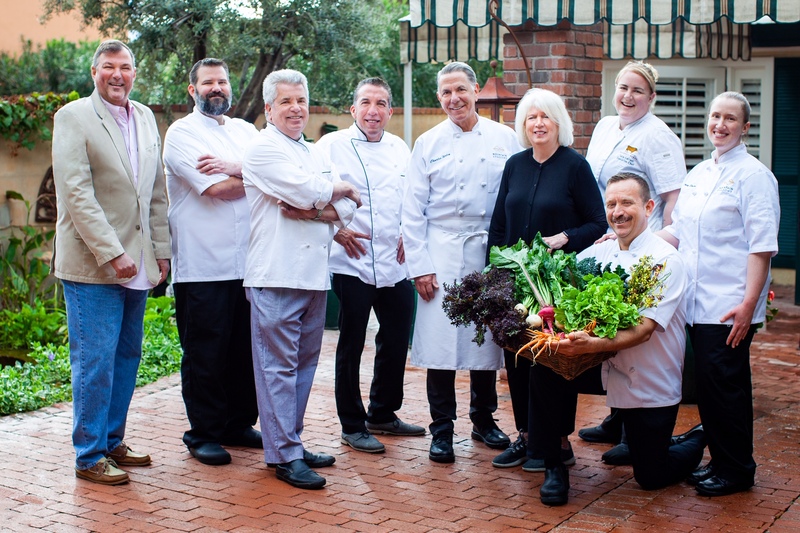 Please join 7 of my favorite chefs and me, as we celebrate spring in Arizona. I started this dining series to spotlight an exclusive group of the valley's most creative and innovative chefs, most of whom have been sourcing locally grown produce since they began their culinary careers. These special evenings allow our talented chef clients to venture outside of their daily menus, and create unique dishes featuring fruits and vegetables from my sustainable Laveen farm. Each restaurant partners with a vineyard, or multiple vineyards, for course by course paired wines or beers. I hold the series in spring, because some of our more exotic fruits and vegetables come into season. One of our farm's specialties, the "calabacitas con flor", which translates into baby squash with blossoms, is a particular favorite of both the diners and the chefs. We grow a dozen varieties of multicolored summer squash, which we harvest very small, with the living, open blossom still attached. The chefs stuff the edible squash blossoms with a variety of savory ingredients, including shellfish or cheeses. A few years ago, the chefs and I agreed to align with the Association of Arizona Food Banks, so that our elegant, indulgent celebrations could assist in lessening childhood hunger throughout our state. We're very pleased that the AAFB's CEO, Angie Rodgers will be joining us for a few of our dinners this spring. Please note the letter below from Terri Shoemaker, the Association's Director of Development. These are the chefs and restaurant/resorts that I invited to participate in our 13th Annual "Farmer in the House" dining series. Menus, vineyard partners and prices will be posted to our website and the individual restaurant's websites, as they become available. Please make your reservations at each restaurant, as most evenings will sell out. I look forward to seeing you on multiple occasions. 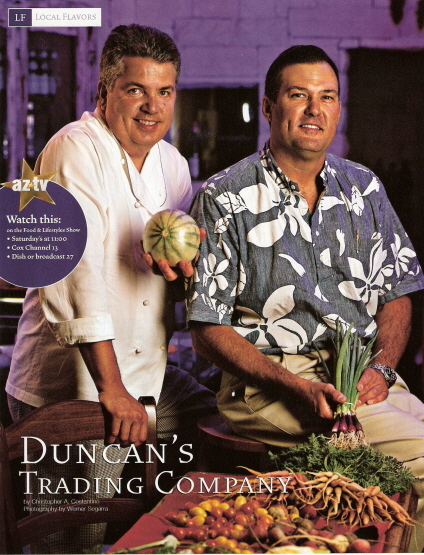 Thank you for supporting the Farmer in the House series hosted by Pat Duncan at Duncan’s Trading Company. More than that, this support is essential to the thousands of Arizonans who struggle with hunger in our state – including one out of every four children. Our work distributing food to our partner food banks, getting more children access to meals at school and in the summer, helping people who call our hunger hotline and ensuring policies help people in poverty is so critical, and couldn’t happen without the help of people just like you. Together, we can achieve our vision of a hunger-free AZ. Thanks once again to Pat and all of the wonderful restaurants and chefs that are a part of Farmer in the House this year. Click here to find this year's menu from Vincent on Camelback on Thursday, April 4th.